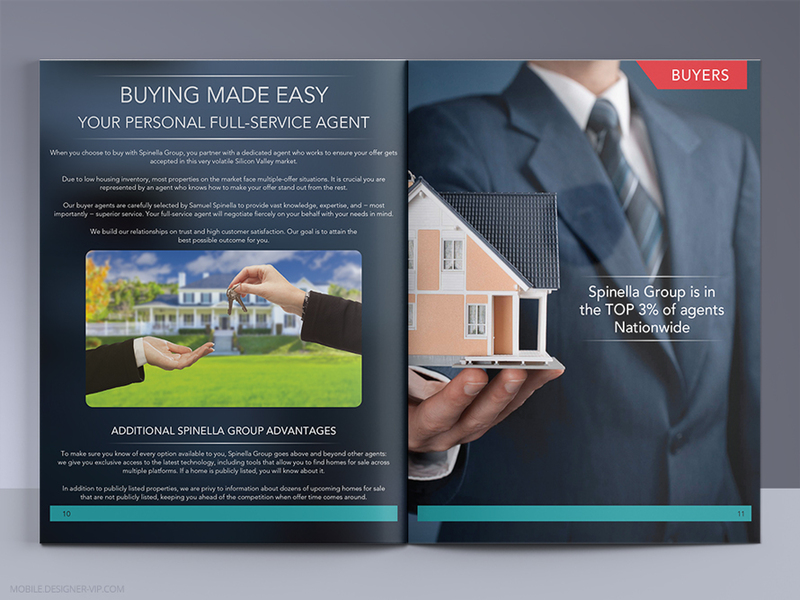 Real Estate brochure for Spinella Group. 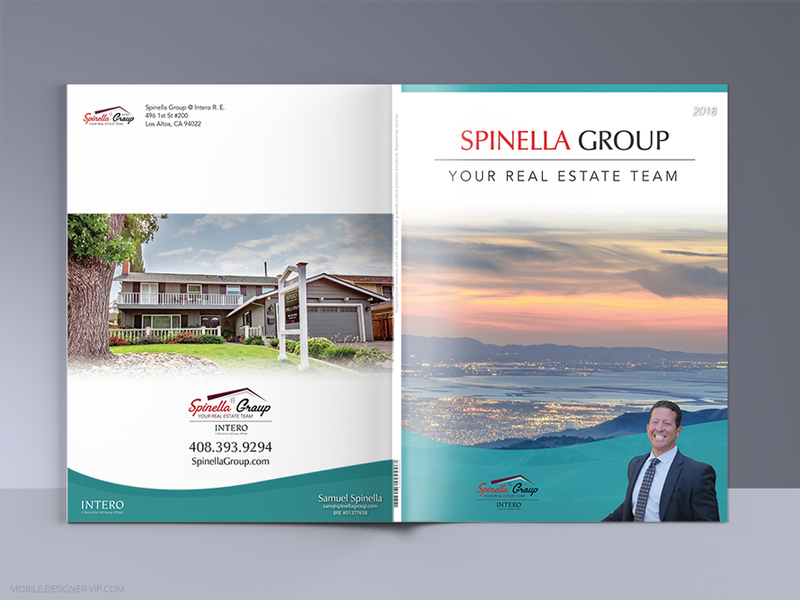 Spinella Group is a lot different from the average real estate team. We are a close-knit, incredibly high-performing TEAM of caring experts. We include buyer agents, project managers, transaction coordinators, and client specialists – even in-house marketing! At the helm is Samuel Spinella, one of the best agents in all of Silicon Valley. My name is Sam Spinella. As a professional in the real estate industry over the past sixteen years, I’ve built my reputation on providing outstanding service to my clients. In these times of dynamic market movement, I believe the most important thing I can do is to communicate how the current market influences your ability to achieve your personal and financial goals. From answering all of my clients questions up front, to updating them every step of the way – my commitment is to ensure the result is financially, and personally, beneficial to them. As a Realtor, I continually educate myself on market trends and real estate changes that create opportunity for my clients. If desired, we provide you with a Project Manager at no additional fee to determine necessary improvements, help approve and schedule the work, and supervise your home’s preparation. We recommend the best-priced, most-respected vendors to improve your home. – We use decades of experience to negotiate the very best contract for you; we even pre-negotiate! Buying or selling a home? Maybe both? The Spinella Group is here to help you! 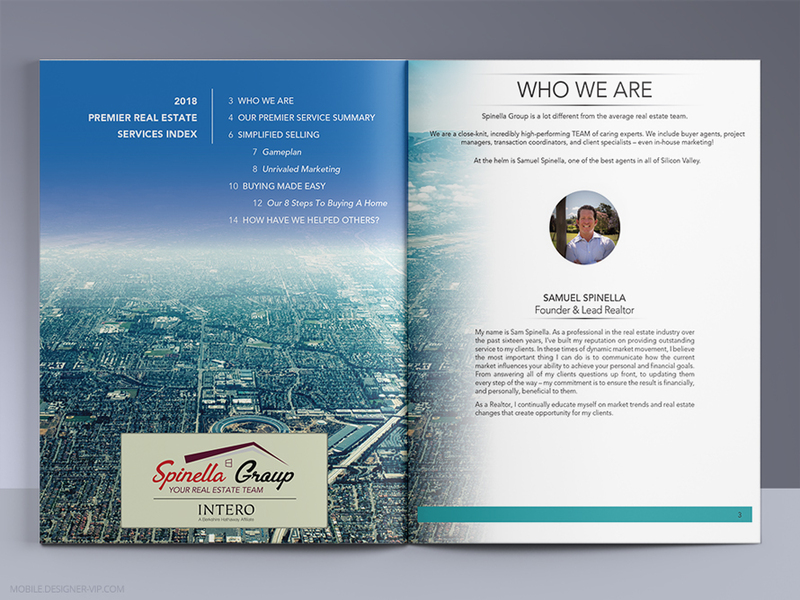 Samuel Spinella possesses over 16 years of local market experience, and the team at Spinella Group and Intero Real Estate has over 100 years of combined local market experience. We pool our decades of knowledge for the benefit of our clients, working with you to determine the target and strategy that help you the most. The first step for us to work together? Sign the Listing Agreement. 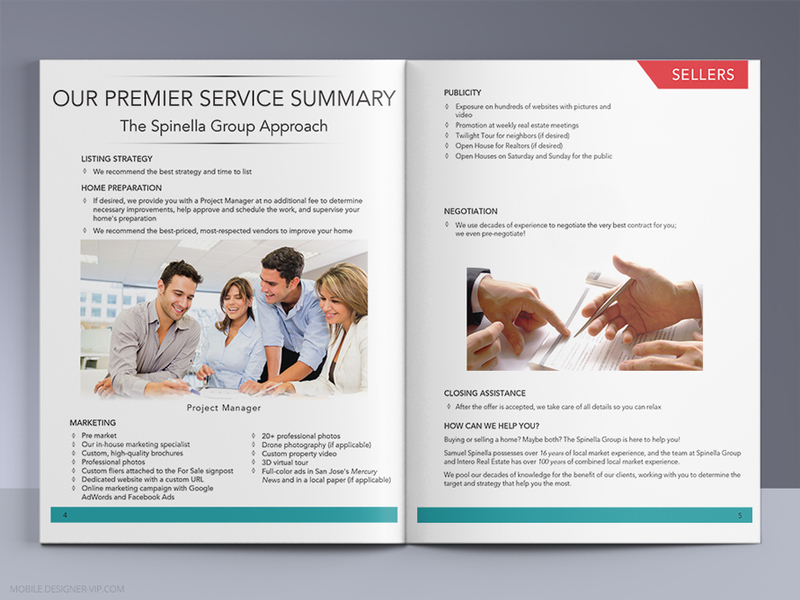 Samuel and the rest of the team at Spinella Group are client-focused. We put your needs first because we want to be the best Real Estate Group possible. We want you to be absolutely happy. We want what is best for YOU. Our goal is to help you with your goals, so we arrange the best schedule to make that happen. If desired, you will be provided with a Project Manager who will suggest ways to help your home show well (de-cluttering, cleaning, small repairs, etc.). We go even further and discuss staging, possible painting, landscape improvement, and/or kitchen/bath updating. We have the connections to get all the work done quickly, efficiently, and at a reasonable cost. You decide what approach to take, and Spinella Group will make it happen. Because Samuel Spinella has over 16 years of experience, we use this to recommend the best list price for your home. We see the list price as a tool to get you the highest sales price possible. We’ll discuss strategies with you, but the final decision – like all decisions – will be yours. We recommend; YOU always decide. Many factors exist that could affect the sales price of your home. 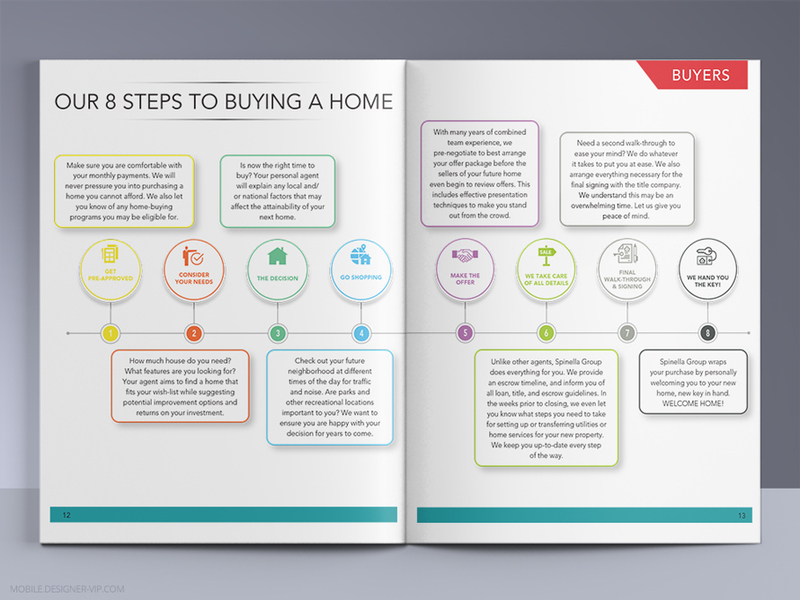 We go over all of them, including competition and market trends, to determine when is the perfect time to put your home on the market. Once the offer is accepted, we take care of the details so you can relax until the check is in your hands. We are also happy to arrange a rent-back after close of escrow, allowing you to vacate at your convenience. Our marketing far surpasses that of the average real estate agent. From extensive online publicity to professional print campaigns, your home is advertised by every means imaginable. We advertise your property at weekly real estate meetings. We make sure all Realtors know about your house in advance so they can begin to spread the word about your home. Your home is posted to the Multiple Listing Service (MLS). You are officially on the market! After you’ve accepted an offer, all paperwork is finalized and your sale is recorded. All keys are handed over. Congratulations! When you choose to buy with Spinella Group, you partner with a dedicated agent who works to ensure your offer gets accepted in this very volatile Silicon Valley market. Due to low housing inventory, most properties on the market face multiple-offer situations. It is crucial you are represented by an agent who knows how to make your offer stand out from the rest. Our buyer agents are carefully selected by Samuel Spinella to provide vast knowledge, expertise, and − most importantly − superior service. Your full-service agent will negotiate fiercely on your behalf with your needs in mind. We build our relationships on trust and high customer satisfaction. Our goal is to attain the best possible outcome for you. To make sure you know of every option available to you, Spinella Group goes above and beyond other agents: we give you exclusive access to the latest technology, including tools that allow you to find homes for sale across multiple platforms. If a home is publicly listed, you will know about it. In addition to publicly listed properties, we are privy to information about dozens of upcoming homes for sale that are not publicly listed, keeping you ahead of the competition when offer time comes around. 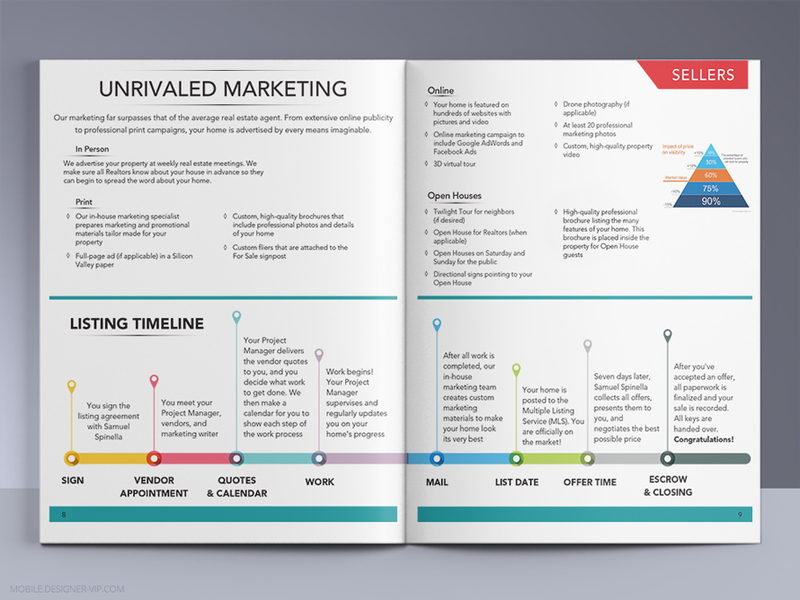 Created high quality science brochure for a company with turn round – ~5 days. 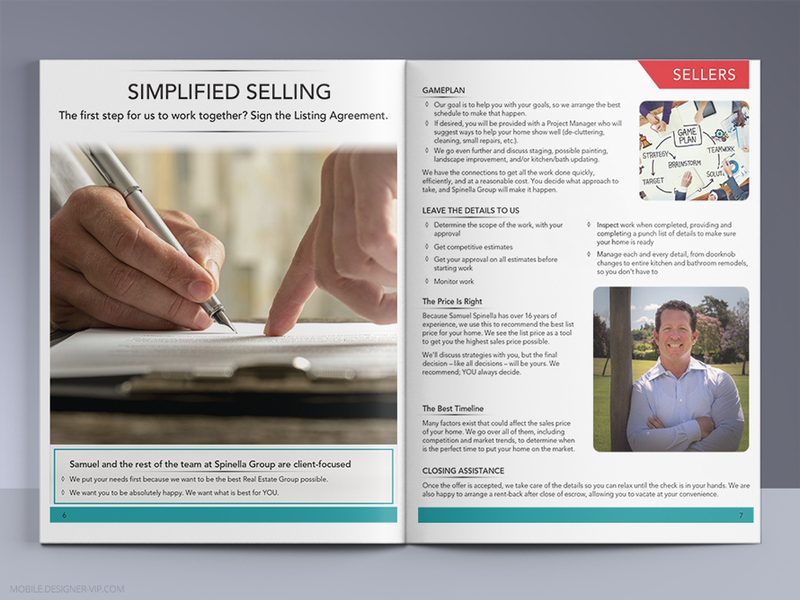 If you need a multipage brochure designed for company or realtor our studio can help.